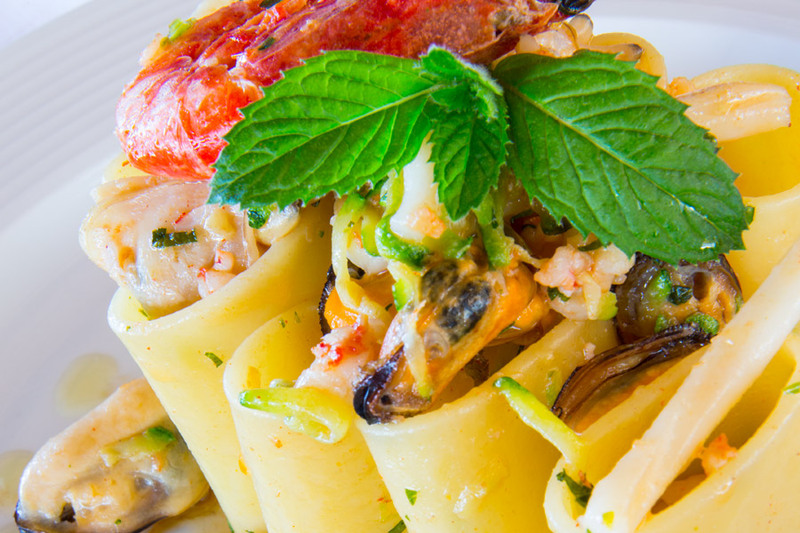 Giardino Eden’s exclusive restaurant by the sea is a place, an experience and an opportunity which summons all the senses. 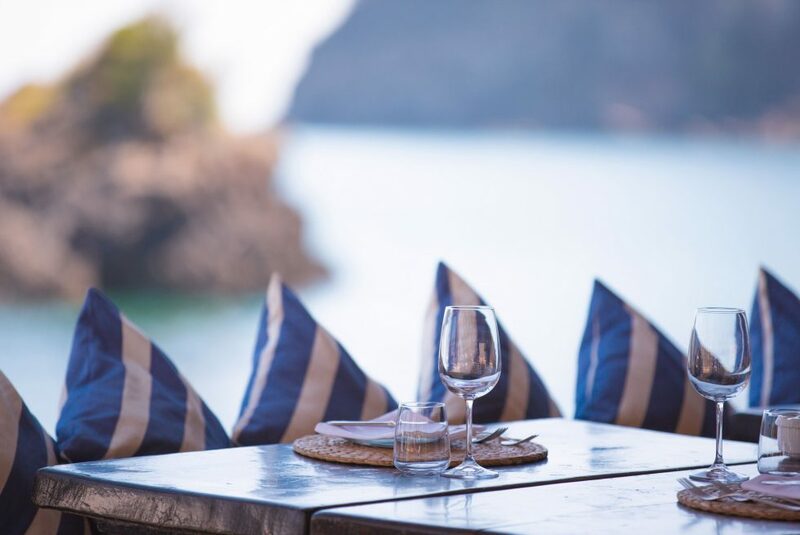 The flavors of a refined and delicious cuisine, the sweet scent of the sea breeze, the view of the extraordinary scenery and the soothing sound of the gentle waves washing over the rocks. 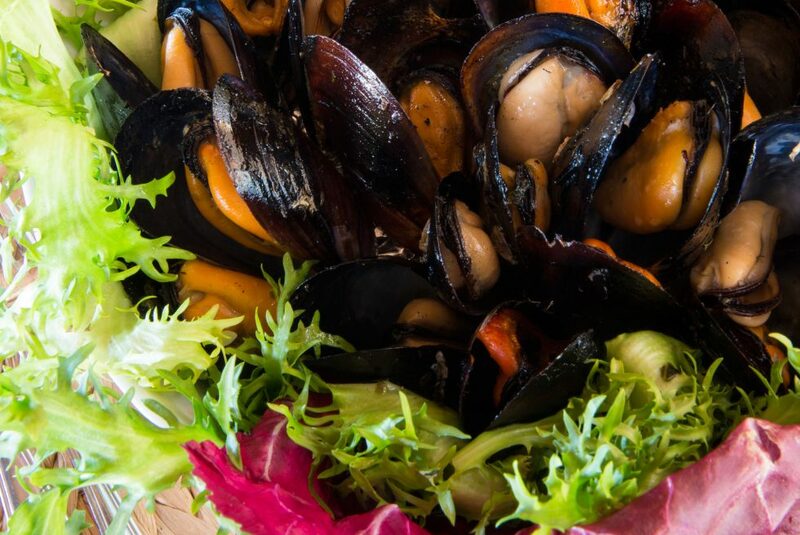 A moment that embraces our site’s natural and refined surroundings, enhanced by the flavors of the sea and the territory. Our cuisine is simple, instinctive and emotional, resulting from a mix of memories and experiences which reflect our tight bond to the sea. 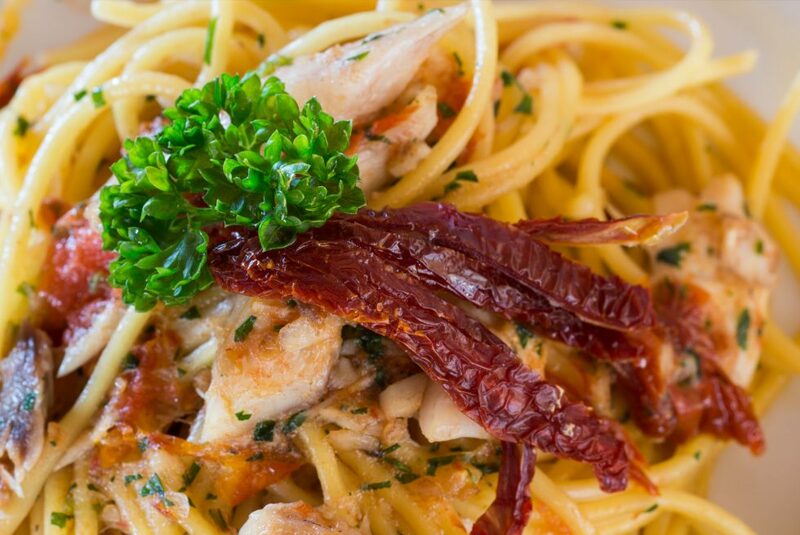 We strongly rely on the high quality of our ingredients, thoroughly verified, 100% fresh and treated in full respect of the delicate underwater ecosystem of the island of Ischia. Our very well stocked wine cellar provides the added value to enhance Giardino Eden’s refined cuisine. Our professional service, refined decoration and the “traditional’ atmosphere of the site are the chief elements which define our style. 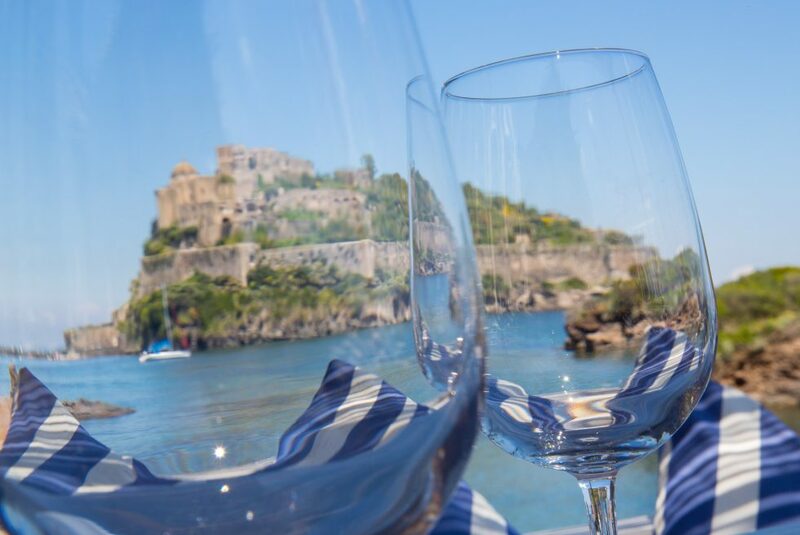 Open for lunch and dinner, reachable by land or sea (by taxi boat service) our restaurant offers its guests an attentive staff, whose only aim is to fulfill the mission of Giardino Eden’s restaurant: ensuring a truly memorable and unsurpassed dining experience. 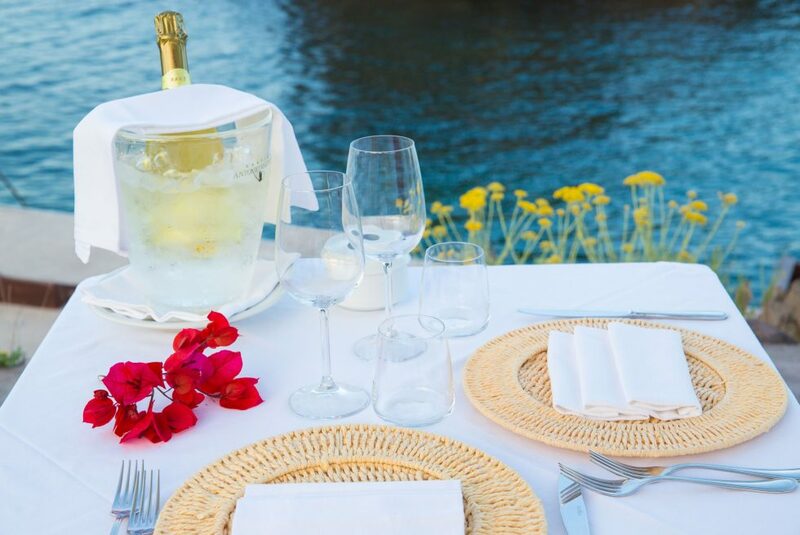 Our guests can enjoy a prestigious and private dinner at Giardino Eden’s exclusive and private “Rock” ”. 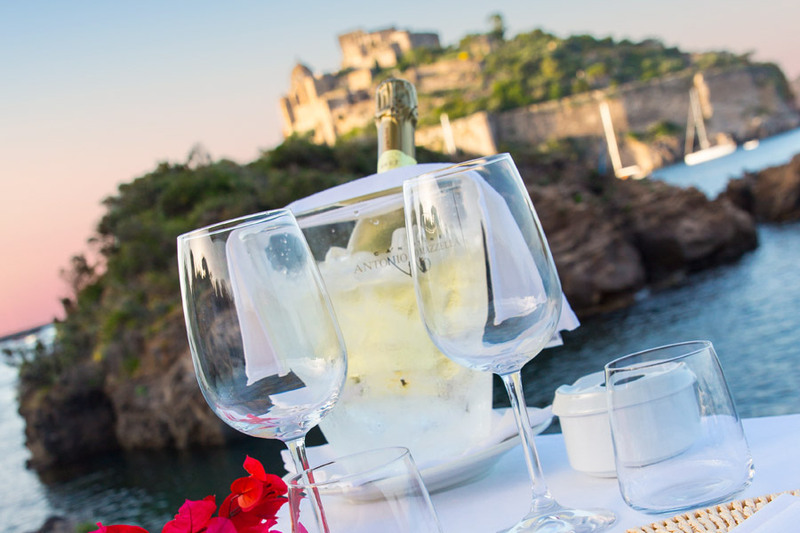 Fully surrounded by the sea and reachable from Giardino Eden by a candlelit walkway, our Rock offers a truly magical and unique dining experience to mark life’s milestones or simply to celebrate love. 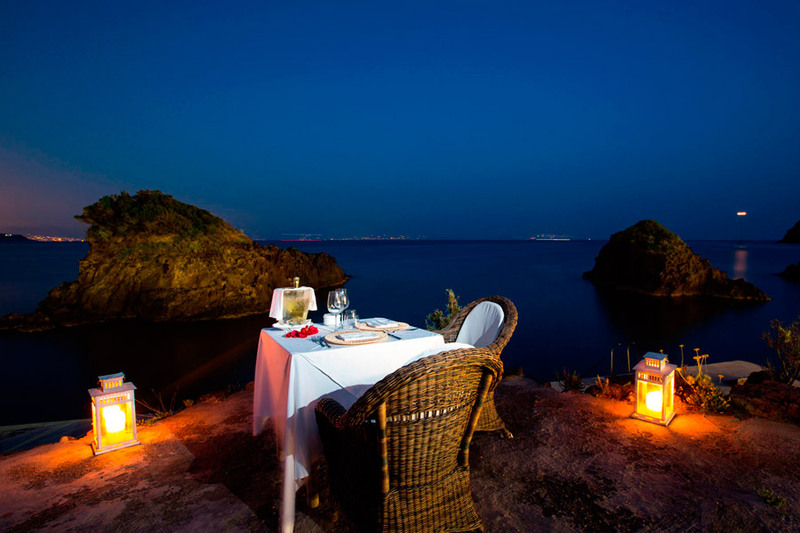 Dinner on the Rock is also available with the gift card Romantic Dreams by Giardino Eden.